The Delaware County Engineer’s Office presented a capital road and bridge improvement plan to the Board of Commissioners on Monday (March 11) that includes spending $140 million of county funds and leveraging $100 million in federal, state and local partner funds for 77 projects through 2023. Some of the major projects include Home Road east and west of U.S. 23, Orange Road railroad underpass, Glenn Road extension, Big Walnut interchange, and improvements to the U.S. Route 23 corridor. Delaware County Engineer Chris Bauserman presented a capital road improvement plan to the Board of Commissioners on Monday, March 11. The plan calls for an estimated $140 million of county funds and an additional $100 million in federal, state and local partner dollars to be spent on 77 projects through the year 2023. Over $26 million was spent on county road improvements in 2018. Bauserman added that every year, the county does a resurfacing program to preserve the condition of the current roadway surfaces. He said in order to get the best price for resurfacing, the projects are bundled together to attract a lot of competition. “That was an $8 million program that included $5 million from local and other government entities joining together with us in the program,” he said. Bauserman said another of the big projects in 2018 was the roundabout at the Liberty Road and Jewett Road intersection in Liberty Township, which cost $1.8 million. He said he was highlighting last year’s cost to emphasize that the projects his office undertakes are costly. In Bauserman’s PowerPoint presentation, he highlighted the projects for the 2019 construction season. Bauserman said the major projects would include Home Road east and west of U.S. 23, the Orange Road railroad underpass, Glenn Road extension, Big Walnut interchange, and improvements to the U.S. 23 corridor. He added the future Home Road extension across U.S. 23 will be done in two phases. According to Bauserman’s PowerPoint presentation, phase one of the project will begin in August and be completed in September 2020 at an estimated cost of $10 million. The second phase of the project is to begin in 2023-2024 at an estimated cost of $14 million. However, the most aggressive project will be building a tunnel under the railroad tracks on East Orange Road with a construction window of 2024-2026 at an estimated cost of $16 million. 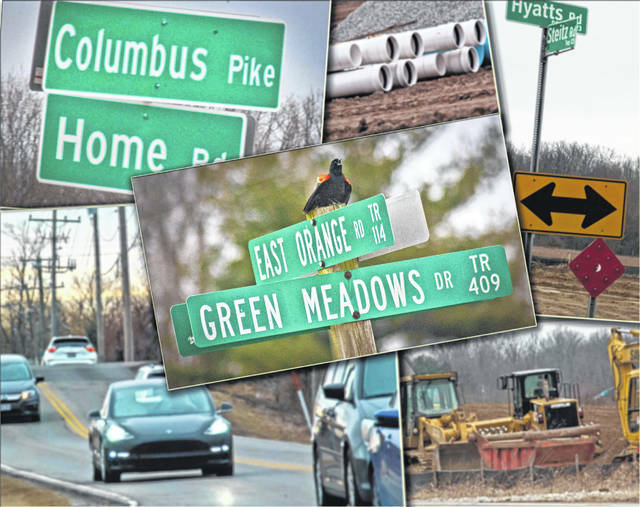 The county and Orange Township will split $6 million of the funding with the remaining $10 million coming from the established Tax Increment Financing (TIF) and ODOT.